We deal Sheet Metal Transformer Enclosures. These Enclosures suitable for Transformer Cabinets Indoor and Outdoor Purpose. This is used in Protecting transformer body from moisture and carbon. Our range of covers are coated with high quality powder coating. They are manufactured in various sizes as per transformers size. We fabricate Dry Type Transformer Enclosure Assemblies. Our company is reputed as a trustworthy fabricator specializing in panels, brackets, enclosures and sub-assemblies of Dry Type Transformer Enclosures Assemblies. We are leading manufacturer for transformer enclosure for different type. With the help of our expert team members, we have been able to provide Transformer Enclosure. This Phase Enclosure is designed and developed in accordance with national market trend and keeping in mind the precise demands of clients. Protecting transformer body from moisture and carbon, our range of transformer enclosure is coated with high quality powder coating. 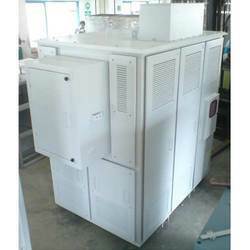 These transformer enclosure is manufactured in various sizes as per transformers size. 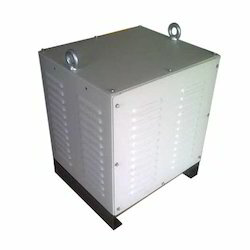 These transformer enclosures can be manufactured as per given specifications. Manufactured to perfection, our company is considered as one of the renowned manufacturers of Sheet Metal Transformer Enclosures. Our offered enclosures are widely used in protecting transformers from moisture and carbon. These transformer enclosures are manufactured in different sizes as per the requirements of our clients.